Corporate brands aren’t usually associated with the word “creative.” What initially comes to mind is a sterile, clean and conservative aesthetic. It’s often a look and feel that reinforces the professionalism of the brand. No funny business. So where does creativity fit in, if at all? Consider the top corporate brands of the last 10 years: IBM, Microsoft, Apple, and Amazon. When you take each of these brands at face value, there is a minimalist logo, conservative typography and limited color palette. Yet, these aspects aren’t what make their marketing creative or memorable. The standard black and white logo is used only as a shell for that creativity. The marketing success of these brands is defined through how they communicate with their audiences. By identifying the niche that their brands can serve, tapping into the potential of social media and establishing a strategic communication plan, these companies are able to reach their audience in a powerful and unique way. How to harness your brand’s creativity while still balancing the professionalism and aesthetic of the corporate image. Visuals, in the form of photographs, graphics and videos, have the power to supplement and sharpen the aesthetic of your brand in a way that is engaging and effective. Take advantage of the visual capabilities of each social media channel, and work your brand around each network. Tip: LinkedIn pages project a more professional look than Instagram. So know the platform you’re using, and work your angle! Their Instagram is full of photos that display fun, artsy office supply arrangements mixed in with mini skits, “The Office” style, that feature their employees. This informal approach to social media engages audiences in a friendly way that fits into the nature of Instagram as a visual feed. 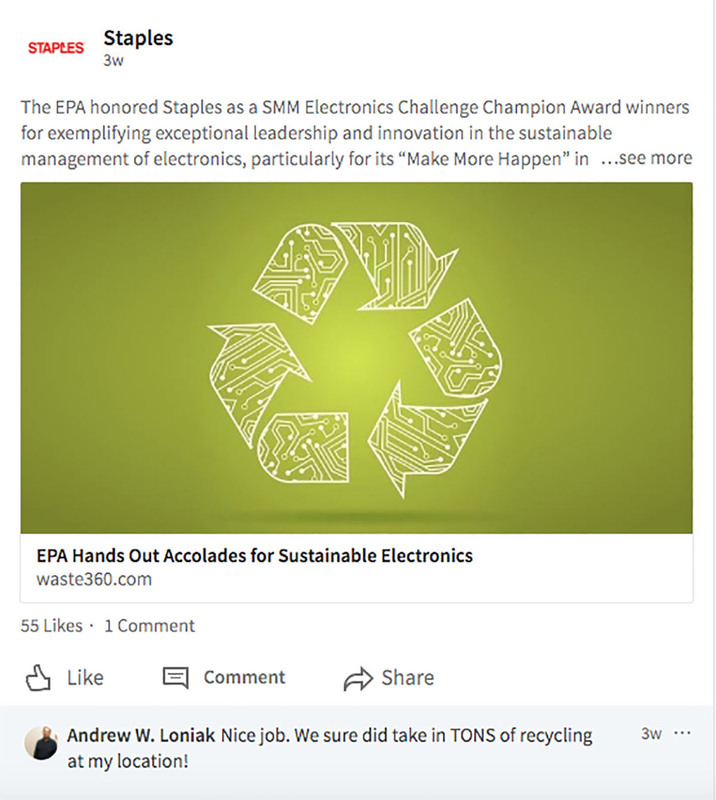 Staples’ LinkedIn page, on the other hand, offers a different visual perspective. It’s clean and professional, highlights employee successes, provides links to interesting articles, and posts more information-based graphics. 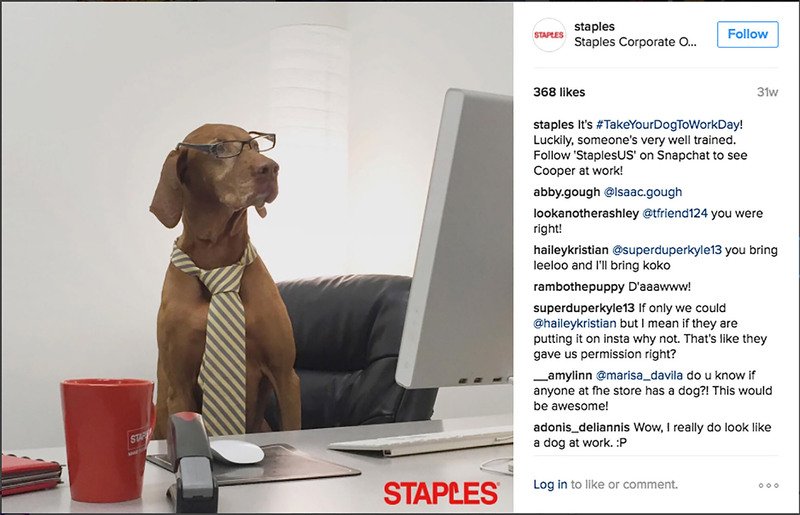 The Staples brand is recognizable in both their Instagram and LinkedIn profile, but by providing varying content through multiple social media channels, they are able to show more sides of the brand to their consumers. We remember stories above all else. Narratives are helpful in reinforcing the values of the brand without being too repetitive. Storytelling connects us on an emotional level, so it’s important to share it with your audience. Tip: Figure out how you want your audience to feel. What brand stories exist in your repertoire that will speak to your audience in a relevant way? 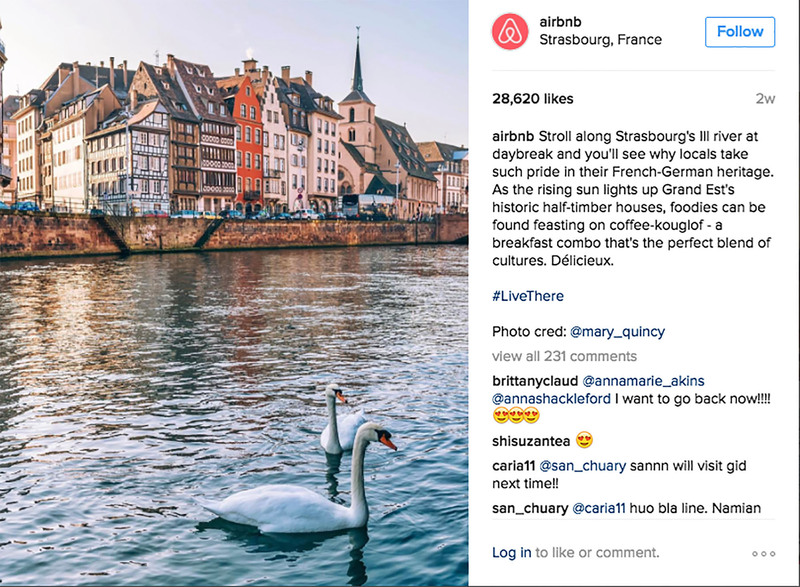 Real Life: Airbnb Throughout their social media channels, Airbnb features stories of people around the world who use their website. Not only do the visuals inspire wanderlust, but they also weave in an emotional side to the brand by allowing viewers to look through these tiny windows of experiences. How do you help your brand tell a visual story? Tweet us @DEVENEYMKTG.